Are you going bald? Do you want to protect your head from UV radiation? Do you think hats are coming back into style? Are you a gangster (or maybe a gangsta) or a detective? Do you associate with both the Yeshivish and Modern worlds, but don't necessarily identify with either one? Or maybe you, your community, or your shul are stuck in a fashion time-warp from the early-to-mid 20th century? If the answer to any of those questions is 'yes', this is the blog post for you! How To Wear A Hat Without Being "Black Hat"
First of all, do not wear a black hat. It's actually that simple. If your hat isn't black, you can't be "black hat", right? Gray is also a respectable hat color; there are lighter grays that could never be mistaken for any other color, and darker ones that look black at night. For a more rustic or adventurous look, try brown. Dark blue hats can 'pass' as black sometimes, which can be good or bad depending on what you want. Straw hats are good during the summer, but they should always be a 'natural' tan, brown or offwhite color. Never ever wear a yarmulka under your hat. There's nothing less fashionable than having one hat (which, after all, is what a kipa is) sticking out of the back of another hat. Even if it's a brightly colored kipa seruga and you're certain that therefore, no matter how dark your hat is, no one could ever mistake you for Hhareidi or Yeshivish, don't do it! The only excuse for wearing a kipa underneath a baseball cap, fedora, turban, or other head-covering, is if 1) it's Shabbos, 2) there's no ‘eiruv, 3) you don't want to be wearing the larger hat all day, and 4) the kipa is completely hidden underneath the other hat. Otherwise, please, keep it in your pocket. Only get a wiiiiide-brim hat if it actually fits your face. Airplanes are for travel, not for wearing on your head. And they might even be assur on Shabbos. Avoid other parts of the Yeshivish/Hhareidi 'uniform'. Wear shirts that aren't white. Jackets and/or pants that aren't black. If your hat is black, wear it with a leather jacket and jeans. There are other types of hats besides fedoras! For instance, I believe that homburgs are popular among the Spanish-Portuguese Jews of New York and Philadelphia. Don't wear a plastic bag on your hat when it rains. Even if it's a bespoke transparent cover. Hats are there to show reverence to God's presence, but their second function is to protect you from the inconvenience of unfavourable weather, so it doesn't make sense to wear them in fair weather and then cover it when it when the first drops fall. As a Jew, you should know that a hat is not a piece of costume but a regular piece of clothing. And a normal rainfall won't ruin your hat. 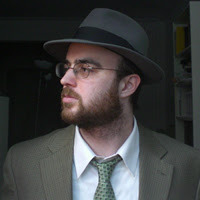 Don't always wear your hat far back in the neck, though that's convenient for lerning gemore or hammering your new blog post scoop into your typewriter. Pull it down, snap the brim, tilt it - just try several ways. Feathers! Although I personally am not a big fan of feathers, if you wear a feather in your hat you cannot be mistaken for a "black hat" wearer. They never have feathers. If anyone else has any suggestions to add to the list, feel free to put them in the comments. Note: this post is not meant to be insulting towards Yeshivish/Hhareidi/BlackHat people. Unless your yarmulka is sticking out of the back of your hat. Then all bets are off. Wouldn't you rather be an All-American cowboy than an Italian mafioso? And we follow the rabbim: tell me, which tv show currently has a huge following -- the Sopranos, or Bonanza? Thanks! So you're saying gray hats go good with reddish hair? Or you could wear one of those silly Australian hats with one side folded up ;-) . You seem to be assuming here that hat = fedora, which is not necessarily the case. Once you correct that error, other options open as well. Ho, hum. My chevruso wanted to lern at the Conservative Yeshivo today. I'm going to go dressed in my white shirt/dark suit/black fedora. Maybe a "frum" drab tie, as well. Some more, birshusech, and feel free to change and/or include them in the post, if you like. - Don't wear a plastic bag on your hat when it rains. Even if it's a bespoke transparent cover. Hats are there to show reverence to God's presence, but their second function is to protect you from the inconvenience of unfavourable weather, so it doesn't make sense to wear them in fair weather and then cover it when it when the first drops fall. As a Jew, you should know that a hat is not a piece of costume but a regular piece of clothing. And a normal rainfall won't ruin your hat. - Wear other styles. I'm not talking about silly hats, but whatever suits you and the occasion. Why not wear a tophat for Rosheshone? Or a stingy, Blues-Brother one during the week, and your nice hat on Shabbes, if you like? - Don't always wear your hat far back in the neck, though that's convenient for lerning gemore or hammering your new blog post scoop into your typewriter. Pull it down, snap the brim, tilt it - just try several ways. - Avoid other parts of the Yeshivish/Hhareidi 'uniform'. Wear shirts that aren't white. Or actually do wear a white shirt, not a stainy yellowish one... If you feel very daring today, go so far as to iron it. But seriously, an off-white shirt - "cream" or "champagne" - will make a such a difference already that you fall out of the pigeonhole. Or close your jacket. Or wear a non-plastic tie. Or wear a pocket square (yes, it's allowed on Shabbes). Be aware, though, that even such a small detail like off-white shirts or a decent tie will make people see you as non-Orthodox, or a very recent baaltshuve. They can't switch it off and don't even realise why they get this impression. I'm dead-serious. Interestingly, all kinds of modern eyeglasses seem to be quite accepted in many circles. Okay, i agree that wearing a plastic bag on your hat looks silly. But what about using an umbrella? Soggy hats are fairly annoying, especially if you're going to be continuing to wear it after you get in out of the rain for whatever reason. I think one of the guys in my neighborhood wears a fedora most of the time and a homburg on yontef. I don't get the reference to plastic ties, thought. R' Riskin, before he moved to Israel in 1982, wore a homburg (but not indoors, most of the time), and for some years had been wearing a medium-gray suit with a long (knee-length) coat. When I have seen him in the States in recent years, he has gone back to a short jacket. And you've seen RMi's shabbos levush - frummer than thou, but not in a Chasidic/Yeshivish mold. I was cleaning up yesterday and my hoiche yarmulke surfaced. Pictures of my great- and great-great- grandfathers show them wearing the high yarmulke, whether litvish or maybe chasidish, at least the less-Americanized ones. None of them were rabbis, AFAIK. And don't forget yekkishe bekkishes! one. Consider vintage or custom. Unfortunately, vintage can be hard to find, and custom can be expensive from what i hear. My best and favourite hat is the dark blue Serbian slash Croatian gangsta fedora I bought in A'dam. Wore it to several meetings of SF4I (hereafter refered to as 'The Conspiracy'), and to a seder. Black Hat meets Spy vs Spy. Shtotty to da max, in fact. If you're in the Boston area, check out Toppers on Beacon Street. FABULOUS hats. Really. Incredible. Gosh I miss that store. I've been to Bencraft in BP (very busy) and Williamsburgh (less blackhat-centric, at least when i've been there), and a place called something like J&J in Midtown Manhattan. On a (somewhat?) related note: Do you suppose the Christian monks are allowed to wear hair shirts made with hair from India? You make some excellent points here. Unfortunatly most Jewish men are sensitive about being idenified as Jewish men or at least pigeon holed as such when they clearly are being the same. Was not always that Jewish men all wore black hats. Not all Jewish men wear black hats now. Jewish men do control the hat market and would like all men to wear black hats, Borsalino hats or what ever hats they are offering from their company or service. Nothing wrong with that. One of our biggest customers is a Jewish man and yet of the 50 or so hats he has on order or recieved so far only a handful are black ones and most are quite colorful. I think he is our most eclectic customer in fact. Yet this same man advises me to not make post like this one for I am sure to offend Jewish men with my words. I hate offending anyone but I prefer for someone to be offended as uninformed. Your post is very appreciated. Wish I could say more but will sign off for now. To learn about quality hats : http://www.gladhatter.com/forum/viewtopic.php?t=3348 and some not so black Jewish hats. Do you suppose the Christian monks are allowed to wear hair shirts made with hair from India? They should. They really should! And glossy black is soooo becoming! Wait, when was I Relativistic Orthodox, rather than Conservative Chareidi? And when was I Open Orthodoz? (I'm typing this from the Bes Medresh of the Conservative Yeshivo, and I am dressed in full frummie regalia. I think someone should write a companion piece- How to wear a hat without "wearing hats," i.e. how can women wear hats without appearing married? I like hats, and I think I look good in them, but I'm limited to wearing them outdoors, at least in Jewish places, because otherwise people might think I'm married, and I'm obviously not married. 1.Do not wear a hat that covers all of your hair. Leave more than a tefach uncovered. Though this still could make you look Shira Chadashaish or Dati left-wing, a woman who covers her head and not her hair, but is still married. 3.Don't wear the rest of the frum outfit. No jean skirts with sneakers and socks. No frumpy outfit that doesn't fit. In fact, it might be advantageous to wear really revealing clothing, but then again, if you're like me and are shomeret tzniut (to the degree you interpret necessary, for me pants and a t-shirt is fine) then you can't really do this one. Especially since when I'm married I'll likely be wearing archaeological hats with pants and a t-shirt in the summer anyways. Also, this still doesn't really allow for the wearing of the really pretty Israeli hats that I covet. If I could figure out how to wear those without appearing married, that would be awesome. My wife bought me a black hat for our wedding but I just can't bring myself to wear it on shabbat. Fact is, I look good in a hat. Now I have an idea of what to get. 1.Do not wear a hat that covers all of your hair. Even more than you write, this will include many frum married women, not only super-lefties, I think. 2.Wear hats that are obviously outdoor hats, even if you wear them indoors. But doesn't wearing outdoor hats inside suggest you're wearing them dafke not for fashion reasons, but because of something else, like being married? You might be right about the first one. The second one- depends on the hat. No one is going to think I'm married if I'm wearing the archaeological Indiana Jones style hat around the anthro museum. They'll just think I'm weird. Which I am. The wig idea made me think of another- either dye your hair an unnatural color (like turquoise or something) or get a wig that colored. No one would mistake someone in a hat and a turquoise wig for being a frum married woman! I've taken to wearing one of those spiffy drivers hats- they look cool and youngish these days. But you in that grey fedora...Very dashing my friend, very dashing! Thanks for extending the scope of this post to include women! Interesting techniques/ideas you've got there. I do not understand what you're saying, and what I do understand sounds sketchy. I suggest people interested in hats go to their local hat store, not the internet. I ended up actually making the comment a post on my blog, but it needs adding to. I don't see any discussion on the feather vs. the key vs. no accessorizing the hat at all. I understand your comments that folks should shop at local hat stores. It makes about as much sense as that they should be reading this in hard copy book format instead of on the internet. For us we need no more customers as too many have already not agreed with you and we are months behind on orders. It is fine to have an opinion but when your opinion is in direct contrast to others that have had all suscess doing it another way possibly you need to reconsider if you are having a valid opinion or just one based on the fact you think it is correct but have not proved or disproved it only spoken it ..
very good point! "black hat" hats never have feathers! thanks :-) tell him to go for it! it's very simple. i've tried buying hats over the internet, and they never fit right or look right. unless someone has a lot of experience and knows exactly what they're looking for, they need to try on a hat (or any other article of clothing) before buying it. The shopping bag business truly perplexes me. I thought it was maybe just a Baltimore thing, but I've received word that it's done in Lakewood too. I wonder how widespread it is. (LA? France? Japan?) I asked my friend why he does it, and he was like, "Well...it works." Sure it does. But why not buy a plastic cover? If you're already going to spend money on an expensive hat to make yourself look nice, why ruin the effect just for a few bucks? This just goes to show how people get so habituated to things they've forgotten their original purpose. how can women wear hats without appearing married? I like hats, and I think I look good in them, but I'm limited to wearing them outdoors, at least in Jewish places, because otherwise people might think I'm married, and I'm obviously not married. Well, the answer is obvious - wear a black hat. A Borsalino is great (I have one in purple fuzzy felt, actually,that I bought in Venice Beach. No one ever mistakes me for a black hat while I'm wearing it. And it's very fetching. Although I am married.